If you’re a brand new learner driver and you have the opportunity to buy your first car, what car should you learn in? Many of you will be using a borrowed car, for example from your parents, but this isn’t always the best idea because their car is likely to be more capable than the one you will end up driving. This means you could have a false sense of security about the abilities of the first car you’ll own yourself. Their car is more likely to have traction control, and various electronics to help get you out of a situation where you would ordinarily lose control. Some modern cars will park for you, warn when you need to brake and even keep you in a lane. While this technology will eventually filter down to cheaper vehicles, it’s not there yet. If your parents or guardians are happy to buy you a car we’re going to run through some questions and options so you understand what will be the best car to learn in. As a motoring journalist I’ve driven and reviewed over 400 cars from the very cheapest models from Kia and Suzuki through to extravagantly expensive sports cars like Ferraris, and even street-legal racing cars like the Radical SR3 and Ariel Atom. Ideally, you will be able to buy a car as soon as you have your learner licence so that you can practice in your own car that you will also take the driving test in. So, let’s help you make a choice. You might end up going to university (or you might be there now), and therefore you’ll probably end up with a student loan and you will be busy therefore earning extra money to pay for vehicle expenses should be considered. You will need insurance, WoF (probably every six months because it’s likely to be an older car), registration, and money for general repairs and maintenance such as tyres, oil, windscreen wipers, etc. The minimum this will cost you per year will be between $700-1000, and that’s if nothing major goes wrong. Add petrol or diesel onto this. If you are doing 200km per week, chances are you will be using 20 litres of fuel and you’ll probably average 10 litres per hundred kilometres in a used car (depending on your driving style and where you need to drive). That’s around $50 per week and therefore $2500 per year. Now you know you’ll need to spend perhaps $3200-3700 per year you can work out how much you can spend on the vehicle itself. Because the price of fuel is variable you can take this into consideration in the calculations. If you are considering a car that does 7l/100km vs a car that does 9l/100km of petrol, then this would be the maths, assuming you are doing 10,000km per year. Therefore the second car will use 200 litres more fuel per year (900-700=200). With fuel at, say $2.50/litre, the second car will cost you $500 more per year. If you assume that you might keep this car for three years it will cost you $1500 more than car one (3x$500=$1500). That means that car one could be priced $1500 more than car two yet over time they will both cost approximately the same (not taking into consideration any interest costs on the extra money taken to purchase it in the first place). Use our fuel economy calculator to make it easier. It’s not a good idea to get too far into debt. You want to strike a balance between getting a car that is safe and reliable that won’t need constantly fixing, and not burdening yourself with finance payments. If at all possible, borrow from somewhere other than a finance company so you can avoid paying the enormous interest rates. Work out your total budget and fix that as a walk-away price. I.e. you will walk away from any deal that doesn’t come in less than your maximum price, however good it looks. Also remember to negotiate on the price of the vehicle. Some people are more negotiable than others. What is your car for? Consider what you’ll actually use your car for. If you play the drums then you’ll probably want a car that can transport them. If you carry valuable equipment then you should make sure you get something that’s got an alarm and somewhere to hide the gear. Like surfing? You’ll need either a station wagon, campervan or something with a roof rack, and possibly something with four-wheel drive. Then consider where you will be driving it. In the city, a larger car will be more of a hassle because of parking. In the country, you might want to consider a four-wheel drive. If you like tinkering with your car, buying a modern car will probably frustrate you because you can’t do much to them. If you learn to drive and take your restricted test in an automatic, you will not be allowed to drive a manual transmission car until you’ve got your full licence. This skill is becoming less and less important as the vast majority of cars that are imported into New Zealand are automatic, but if you ever want to drive a sports car or a classic car then you might need to know how to drive a manual gearbox. As you’re a new driver there is a much higher likelihood you are going to have an accident, so don’t scrimp on safety features. Try to get a car that’s got as many airbags as possible and look for either an ANCAP or EuroNCAP crash test rating that’s as close to 5 as possible. Does it suit your required purpose? Can you afford to run it and insure it? Does it fit in your garage or parking space? Is it likely to be reliable? Do you trust the person you’re buying it from? Will it have resale value? 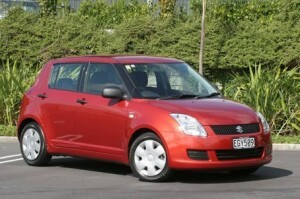 You will get the best fuel economy and the most practical driving experience in the city in a small car. If all your friends play basketball, though, you might find it difficult to give them lifts in comfort. Options that you should consider are the Kia Picanto, Suzuki Swift, Hyundai i20, Nissan Micra, Toyota Vitz or a newer Mitsubishi Mirage. All these will provide fairly good residuals, are reasonably reliable and are well-priced. More modern versions have good crash test ratings. 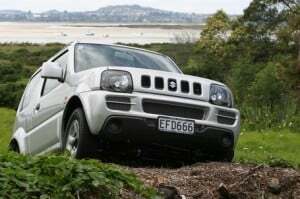 As a learner vehicle, you really can’t go past the Suzuki Jimny. It’s extremely rugged, isn’t thirsty on the fuel and you can pick them up cheap. If you want something slightly bigger, a Toyota RAV4 (series 2) or a Suzuki Vitara strike a good balance between SUV and car; they handle better than a larger SUV. A four-wheel drive vehicle will tend to cost more to maintain and service than a two-wheel drive vehicle and you can expect that the tyres will be more expensive. There are plenty of choices here with Toyota Caldina or Avensis, Mitsubishi Lancer and Nissan Bassara offering models that don’t have huge engines (and will therefore be more economical). Try to ensure you get the boot blind (cargo blind) when you buy a station wagon otherwise everything you put in the boot will be on display to potential thieves. 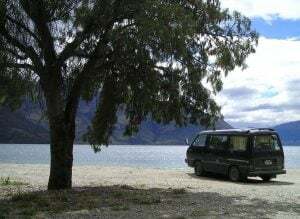 If you have a sense of adventure and want your first car to be versatile you could go for a campervan. These are larger, so will cost you a little more in fuel, but you’ll be everyone’s mate when they need to move flats. Plus, you can head away on the weekend and save money on accommodation (just make sure you don’t freedom camp in places where it’s prohibited). To buy a second-hand campervan you’ll need to decide whether you want one that’s already converted or whether you can do a conversion yourself. There are plenty around with Toyota Estimas, Mitsubishi L300s and Toyota Hi-Aces very popular. You need to take the car for at least half an hour to get a decent idea of whether you like it. This also gives the engine time to heat up. Make sure the car is started from cold on the dealer’s yard. Check all of the features of the car function as they should. Don’t expect that a really cheap car will have everything working, so make sure you can live with any faults. If you are buying privately then purchase a vehicle history report from a company like Checka to make sure it doesn’t have any money owing on it. 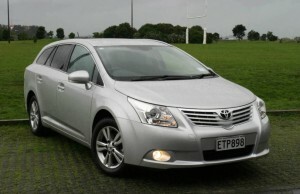 To find a car you can look at sites like Autotrader and Trademe, or just wander down to your local car yard. Find out when is the best time to buy a car, plus some tips for getting a good deal.